PLO Secretary General blasts Trump over his call for the US to officially recognize Israel's sovereignty over the Golan Heights. Palestine Liberation Organization (PLO) Secretary General Saeb Erekat on Thursday blasted US President Donald Trump over his call for the US to officially recognize Israel's sovereignty over the Golan Heights. 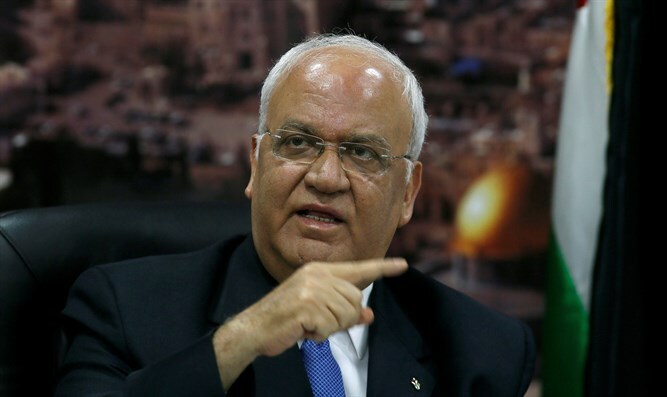 In a tweet, Erekat claimed the move would result in regional “destabilization and bloodshed”. “Yesterday president Trump recognized Jerusalem as Israel’s capital. Today for regional stability he wants to make sure that the occupied Syrian Golan Heights be under Israel’s sovereignty. What shall tomorrow bring? Certain destabilization and bloodshed in our region,” he wrote. The move was welcomed by Prime Minister Binyamin Netanyahu who called Trump's announcement a "Purim miracle."